Birdwatchers unite! South Padre Island, Texas, is a world-renowned birding paradise. The city — a 30-mile-long barrier island located on the Gulf of Mexico — is widely known for its white sandy beaches and spring break college crowd, but to bird-watchers, it’s heaven on earth. Visiting South Padre as a bird-watcher starts with finding the perfect hotel, making viewing easy. Keep reading to discover a few of Hipmunk’s top boutique hotels on South Padre Island. For bird-watching on a budget, check into the WindWater Magnuson Hotel. Rates at the WindWater start as low a $50 per night, but that doesn’t stop this boutique hotel from offering things that travelers might expect in higher-priced properties. If the water at the beach isn’t to your taste, the hotel offers an outdoor pool as well as a Jacuzzi. Bird-watchers will particularly appreciate free Wi-Fi availability, allowing speedy uploading of snapshots. Better still, you won’t need to leave your animal family members at home: Pets can join in on your watching for a nominal fee of $25. The Padre South Hotel is one of the oldest boutique hotels still standing in South Padre, and it’s a home away from home for bird-watchers everywhere. Rooms come equipped with a kitchenette, including a stove, and notably roomy bedrooms — not one but two! A restaurant and sports bar help guests fill in the time between bird-watching. 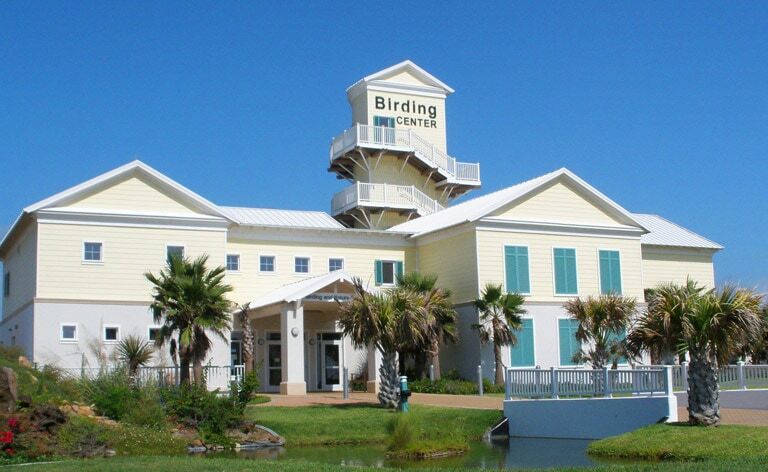 Bird-watching couples who enjoy spending time alone are welcome at the Pearl South Padre. This hotel offers valet parking and a staff ready to cater to every need. Moreover, bird-watching at this boutique hotel offers the added benefit of picturesque ocean views from most rooms. If the birds aren’t out and about, travelers can still enjoy a stay at the Schlitterbahn Beach Resort and Waterpark. This boutique hotel is the premier South Padre Island location for family travelers, offering a carousel, waterslides, and a not-so-lazy river. On rainy days when the birds are in, the family can stay in, too, in an environment that offers children a rainy-day setting for fun. Even better, the Schlitterbahn has a swim-up bar for Mom and Dad. How’s that for a bird-watching break? Bird-watchers come to South Padre Island for the sights, but they stay for the beach access offered by the Wanna Wanna Inn. The name is as fitting as it is catchy: Everything a guest would “wanna” do can be done at this property, which includes a bar and grill overlooking the beach. Bar entertainment and a highly acclaimed seafood menu complete every stay at the Wanna Wanna.